Nirvana MTV Unplugged in New York was filmed on November 18, 1993 but the DVD was not officially released until 2007. The DVD release includes an unedited version of the concert that shows the band talking to each other, random banter with the crowd and a few breaks in the action. 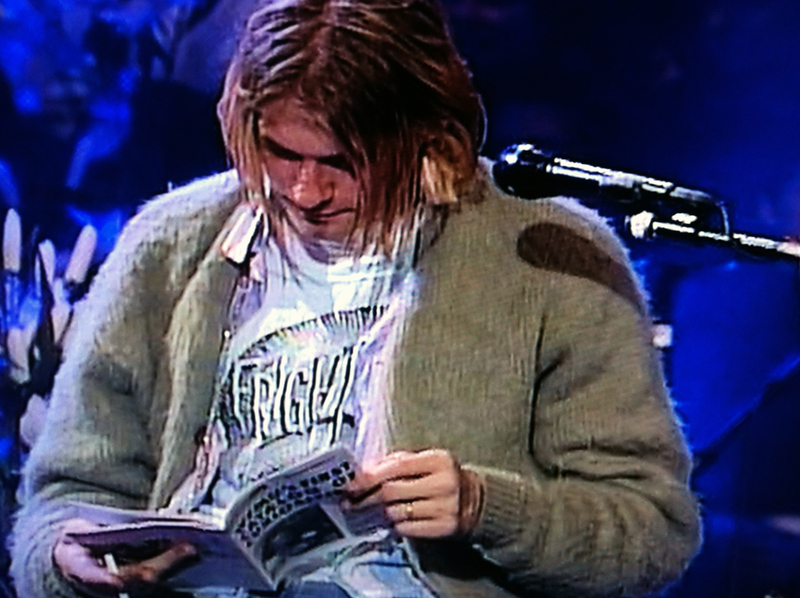 After the song “Something In The Way” as The Meat Puppets are getting situated, Kurt Cobain starts reading a magazine/booklet while on stage. 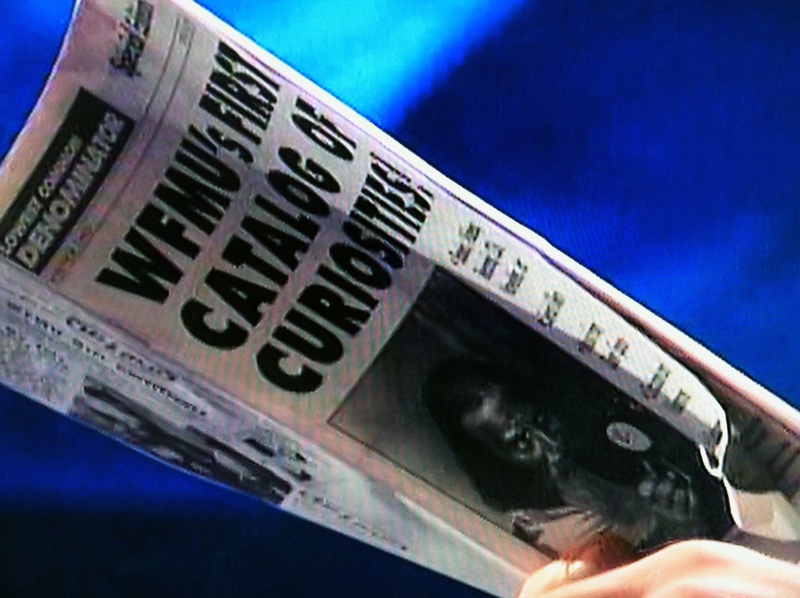 Upon closer inspection, Cobain is reading WFMU radio’s program guide called “Lowest Common Denominator” known as L.C.D. which featured strange articles on radio, records, comics, and more.